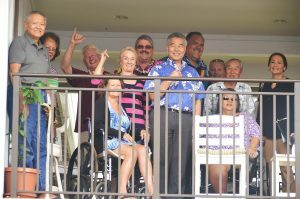 Kaua’i seniors with the governor for the second phase of Kaniko’o, an affordable 90-unit housing project. To date, we’ve produced a total of 1,050 units in the past two years with over 4,000 more in the pipeline, 80 percent of which will be rentals. To build on that momentum, I convened a group of affordable home developers and advocates to listen to their suggestions to maximize state financing tools and provide the infrastructure needed. Last year we worked together to expand the application of state funding for roadways and other infrastructure —a prerequisite for the development of new communities. We worked to infuse the state’s Dwelling Unit Revolving Fund with $25 million to finance regional infrastructure with the counties and private home builders. And thanks to the Legislature’s support, we’ve also added $75 million in gap financing for more affordable rentals throughout the state. My budget for the next two years proposes to invest $123.4 million to promote new housing starts. DHHL director Jobbie Masagatani, Gov. 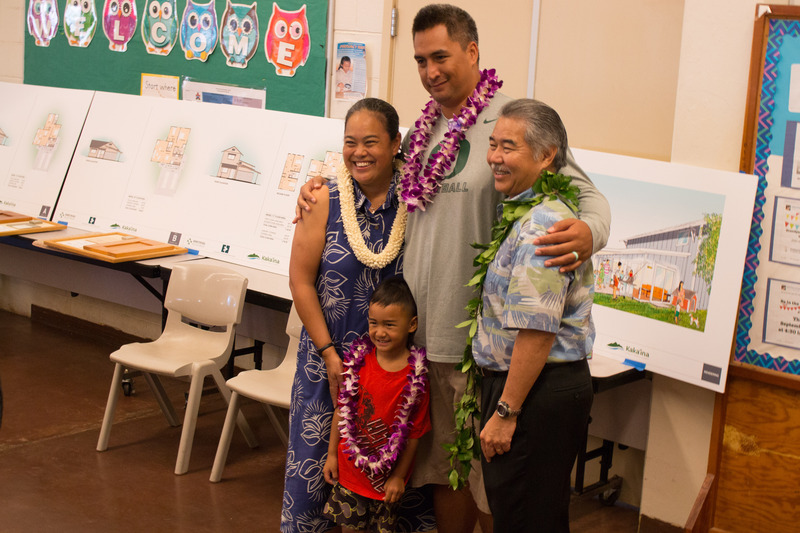 Ige and happy families at the lot selection in Waimānalo. The Department of Hawaiian Home Lands also plays an important part in our affordable housing solution. Recently, DHHL conducted lot selection for Kaka‘ina Hawaiian Homestead in Waimānalo — one of two parcels for qualified Native Hawaiians. 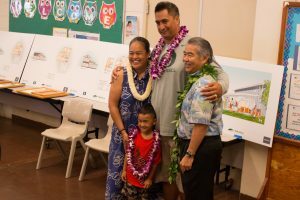 The first 70 families in the homestead community of Malu‘ohai in Kapolei signed their leases recently to fulfill their dreams of becoming homeowners. In addition, Ka Makana Ali‘i in Kapolei, which will be O‘ahu’s second-largest shopping center, will generate substantial revenues for DHHL’s homestead development. Transit-oriented development remains one of the biggest game changers. The transformation of Kaka‘ako can already be seen, with new affordable units going up. The housing supply in Kaka‘ako has increased by 2,260 units (44 percent of them affordable) with more units planned. 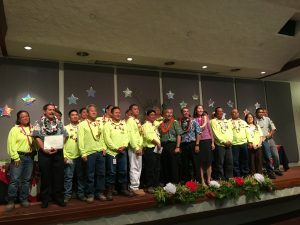 The Department of Human Services’ Team of the Year from the Hawaii Public Housing Authority. My budget proposes $20.9 million each year for rent subsidies, supportive services, outreach and enforcement. With the help of the Legislature, our Congressional delegation, the counties, federal agencies, business and community service organizations, we have made significant strides in addressing homelessness in Hawai‘i. Statewide, we have increased funding for homelessness prevention, which has contributed to a 25 percent reduction in eviction rate on O‘ahu. It kept nearly 4,200 people from joining the ranks of the homeless. Working together, the state and our partners have assisted over 5,000 people in the past year. We also opened the new Family Assessment Center and have reduced homelessness in Kaka‘ako by two-thirds. The Department of Human Services also recently announced the awarding of contracts to 33 homeless shelters. Together, those awardees have pledged to add nearly 200 beds and double the number of individuals they place in permanent house from about 3,000 to 6,200. We also reduced the turnaround time for a public housing unit from seven months to seven days, using multi-skilled worker teams. As a result, over 400 units have been made available to families in record time.